After my friend, Shannan (again, mentioned often in previous blogs), moved from Eureka, her family moved to Columbia Falls. We had so much fun there, but mostly just “being”. 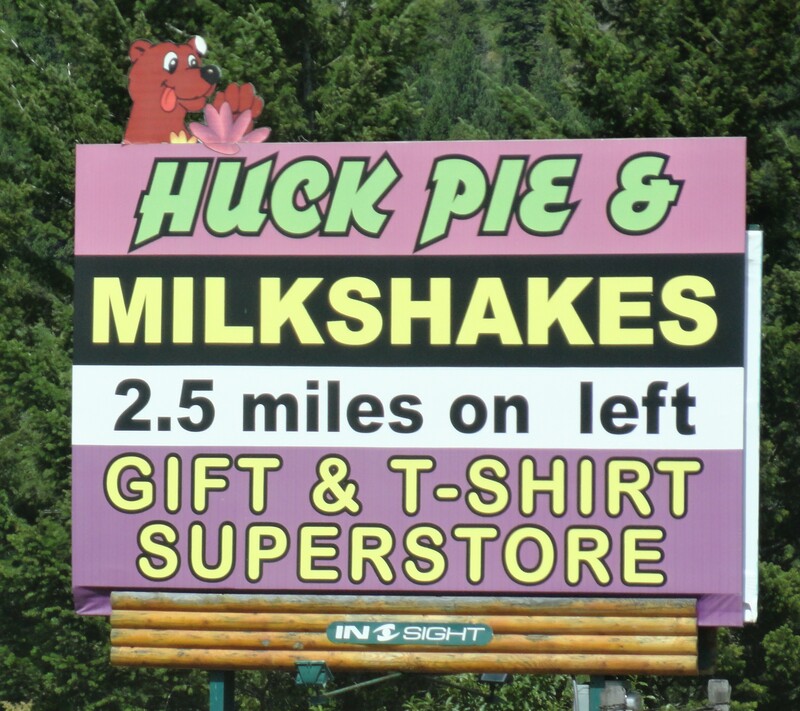 Seven miles (11 kms) further east, on your way to Glacier National Park, you will find Hungry Horse. As the name suggests, Hungry Horse was named after two hungry horses, Tex and Jerry. Apparently, in the winter of 1900, Tex and Jerry wandered away, but were found a month later, hungry and scrawny, but alive! 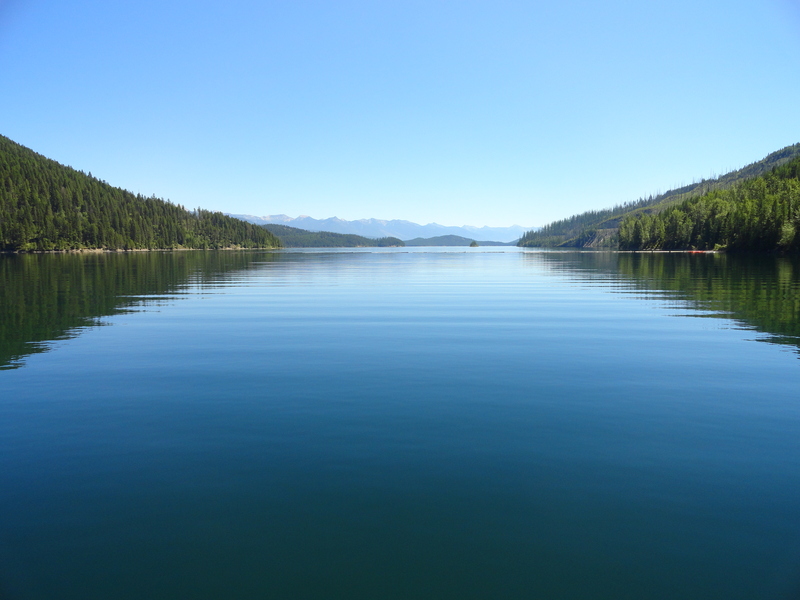 Although Hungry Horse is only 11 miles (18 kms) from Glacier National Park, we didn’t quite get there… we spent our entire weekend in Hungry Horse and the Hungry Horse Dam area. Even though I grew up not that far away (see Eureka, MT blog), I had never been to Hungry Horse (except passing through on my way to Glacier) and we (ok, I) decided it was time to change that. So, when a couple of our friends from Calgary wanted to go “somewhere new, somewhere sunny”, for August Long Weekend, we (ok, I) picked Hungry Horse. 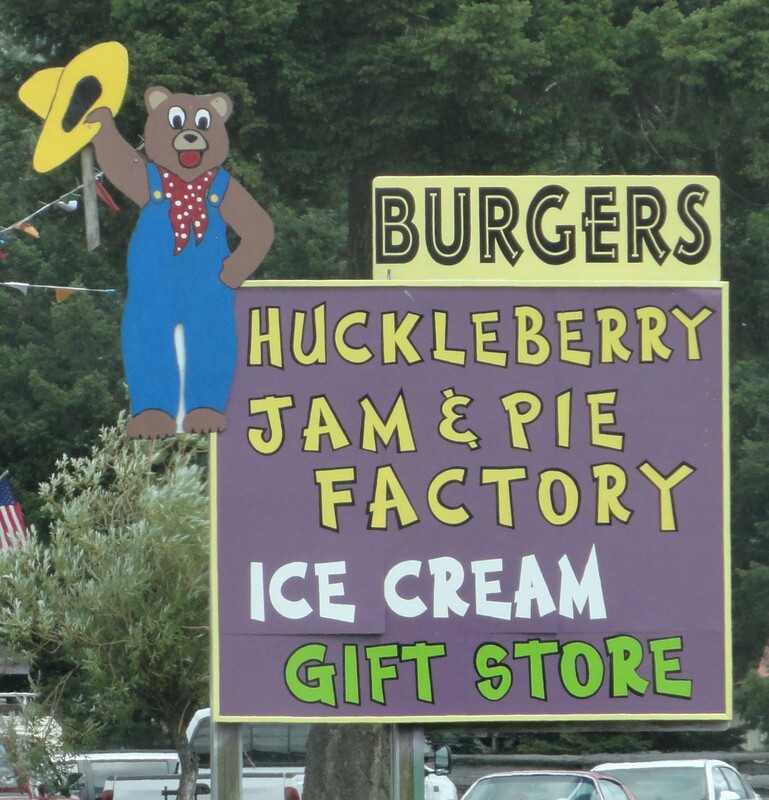 In case you don’t have time to pick your own huckleberries while in Eureka or Hungry Horse, you will find an abundance all down the main street – everything from actual huckleberries (I brought home a pound and froze them mmmmmmmm yummy!!) 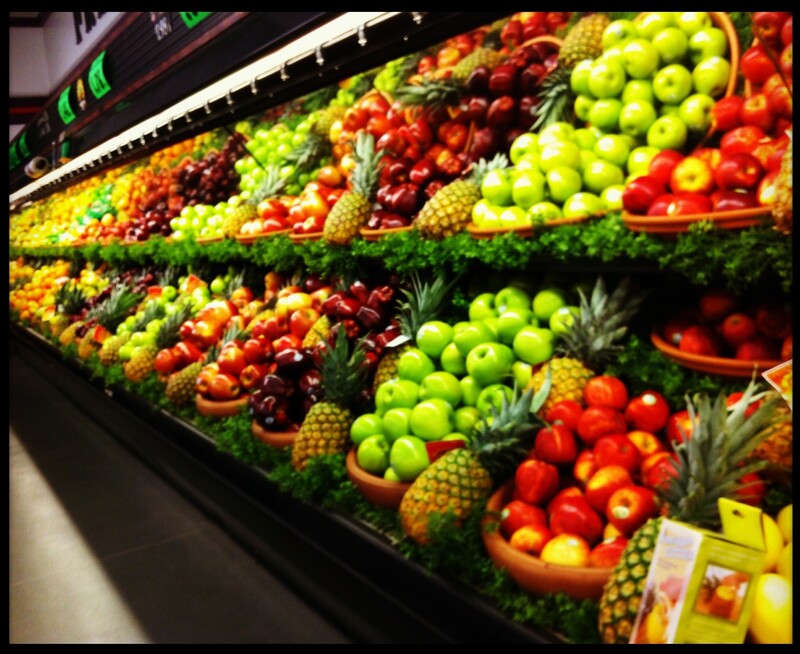 to pies to milk shakes… syrups, jams, honey… Sooooo delicious!! 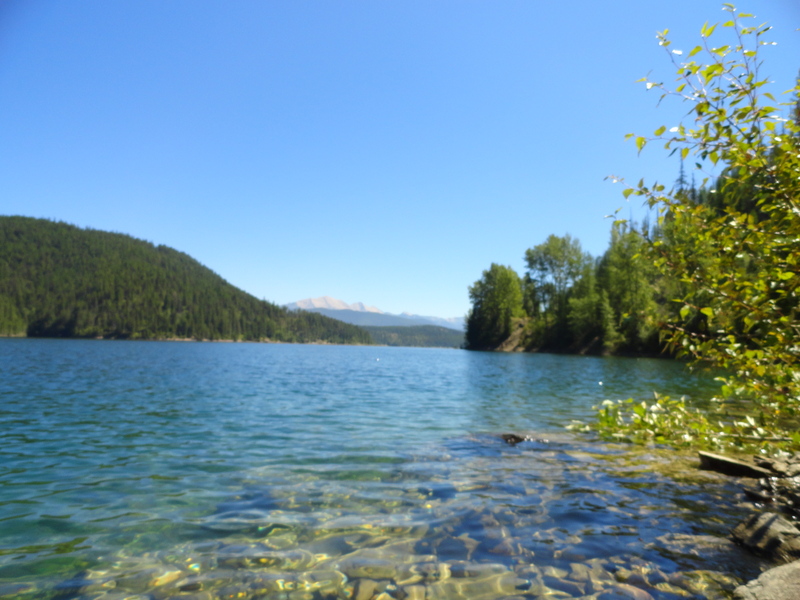 We spent one entire day at and around Hungry Horse Dam. 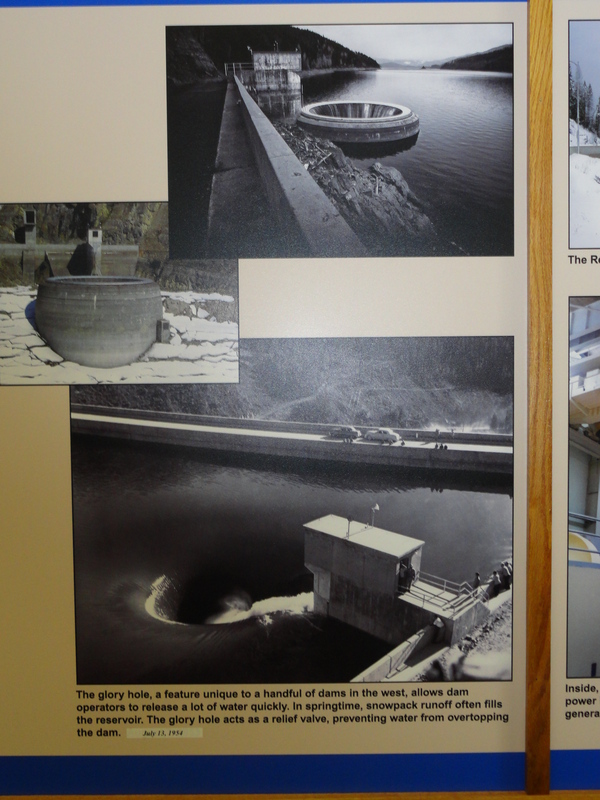 The area is gorgeous and the dam i s fascinating! 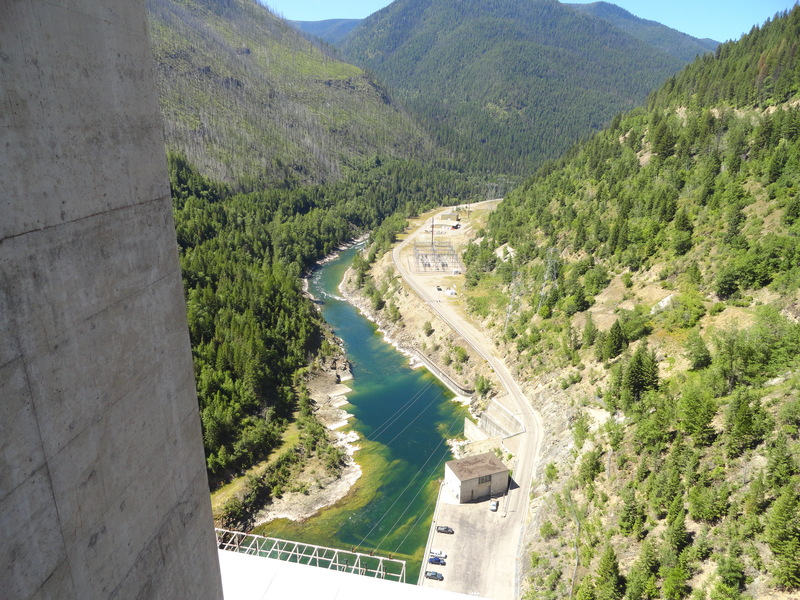 On the South Fork of the Flathead River, and about 5 miles from Hungry Horse town, the Hungry Horse Dam is 564 feet (172 meters) high and 2115 feet (645 meters) long. 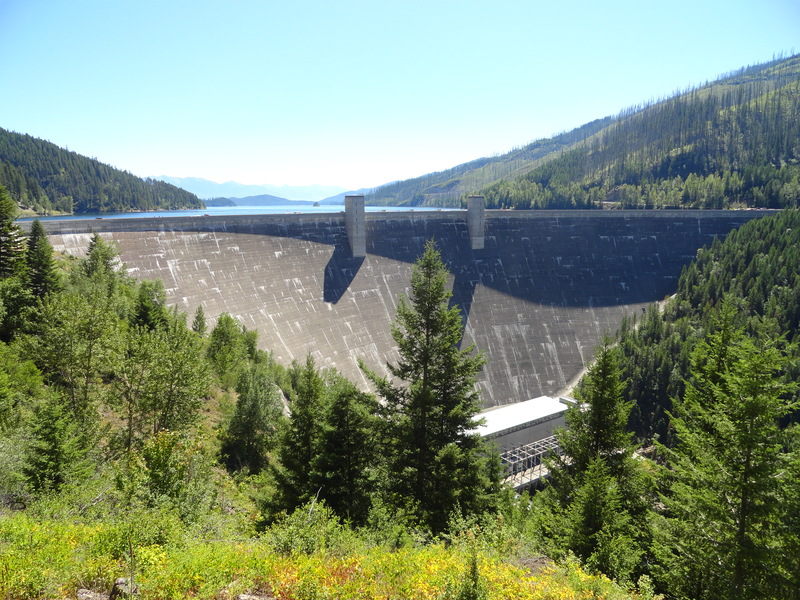 Basically, though, at some point the water reaches its highest level and must be released, and the dam’s purpose is to control that release of water, to prevent flooding. 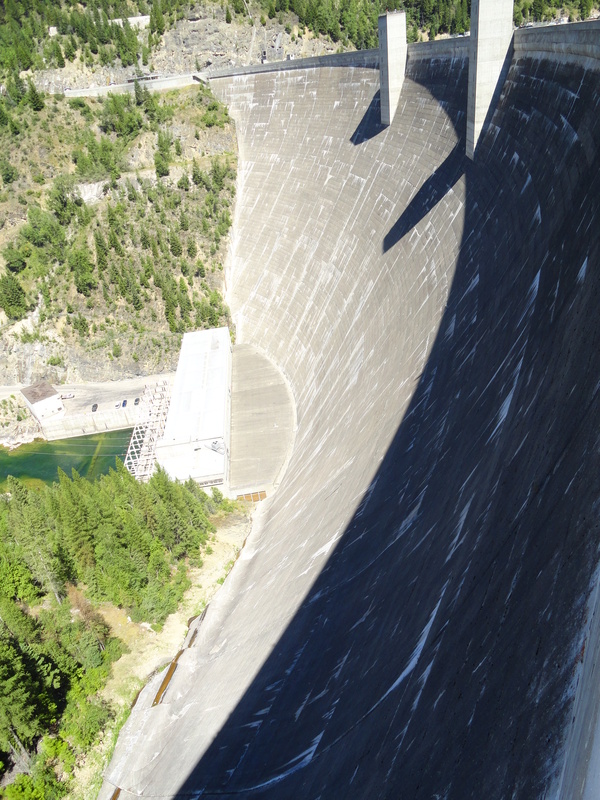 Most dams (that I’ve seen) have something like a chute. Wikipedia has a great explanation with pictures. 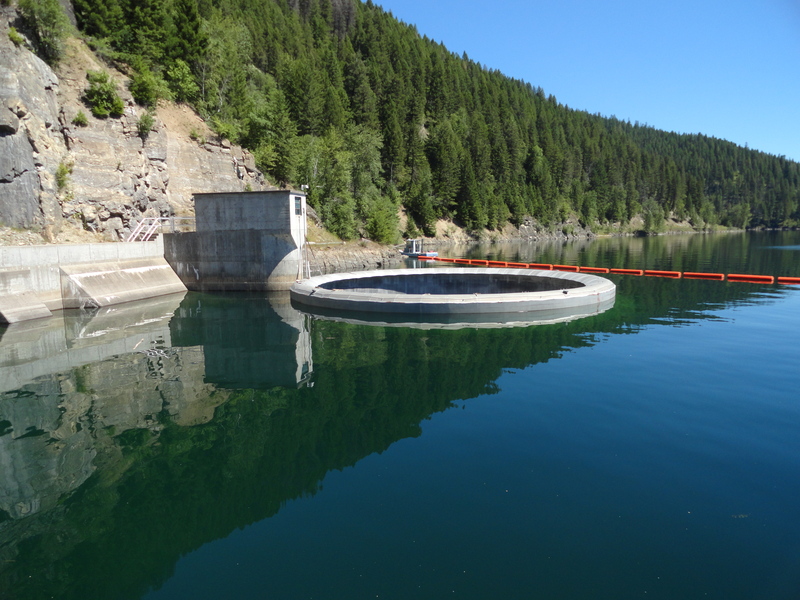 However, Hungry Horse Dam has a “morning glory” spill hole. This particular spillway (which falls under the category of “bell-mouth spillway”) is the highest morning-glory structure in the world, and drops the cascading water a maximum distance of 490 feet! it funnels down into the base, and goes out through a tunnel at a lower level. I’ve never seen this before – never even heard of it, actually. 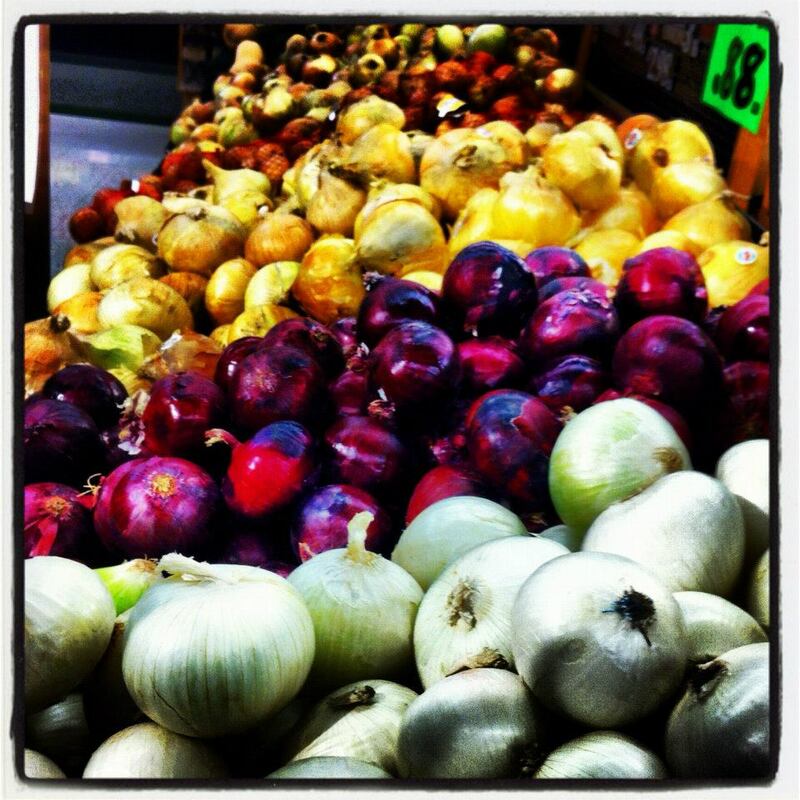 Sunday, we’ll be talking about Seattle – just a quick trip. The dam is awe inspiring. We spent the longest time just looking down. 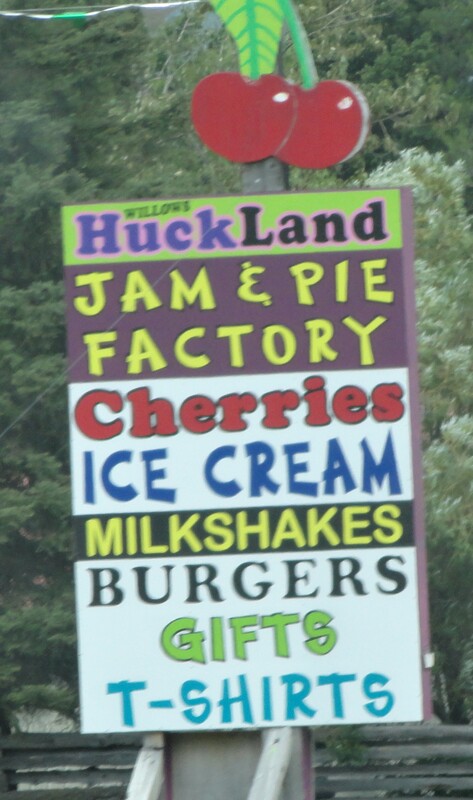 I also still have some huckleberry syrup left we (ok I) bought in Hungry Horse. By the way , why isn’t it called Hungry Horses? I have no idea on the “horses” question. I’ll have to put in an email to the Chamber of Commerce!